Physical Camera Tick this box to enable the Physical Camera properties for this camera. When the Physical Camera properties are enabled, Unity calculates the Field of View using the properties that simulate real-world camera attributes: Focal Length, Sensor Size, and Lens Shift. Physical Camera properties are not visible in the Inspector until you tick this box. Focal Length Set the distance, in millimeters, between the camera sensor and the camera lens. Lower values result in a wider Field of View, and vice versa. When you change this value, Unity automatically updates the Field of View property accordingly. Sensor Type Specify the real-world camera format you want the camera to simulate. Choose the desired format from the list. When you choose a camera format, Unity sets the the Sensor Size > X and Y properties to the correct values automatically. If you change the Sensor Size values manually, Unity automatically sets this property to Custom. Sensor Size Set the size, in millimeters, of the camera sensor. 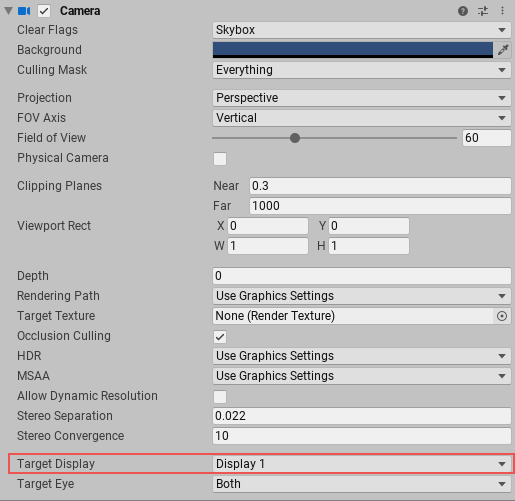 Unity sets the X and Y values automatically when you choose the Sensor Type. You can enter custom values if needed. X The width of the sensor. Y The height of the sensor. Lens Shift Shift the lens horizontally or vertically from center. Values are multiples of the sensor size; for example, a shift of 0.5 along the X axis offsets the sensor by half its horizontal size. You can use lens shifts to correct distortion that occurs when the camera is at an angle to the subject (for example, converging parallel lines). Shift the lens along either axis to make the camera frustum oblique. X The horizontal sensor offset. Y The vertical sensor offset. Gate Fit Options for changing the size of the resolution gate (size/aspect ratio of the game view) relative to the film gate (size/aspect ratio of the Physical Camera sensor). For further information about resolution gate and film gate, see documentation on Physical Cameras. Vertical Fits the resolution gate to the height of the film gate. If the sensor aspect ratio is larger than the game view aspect ratio, Unity crops the rendered image at the sides. 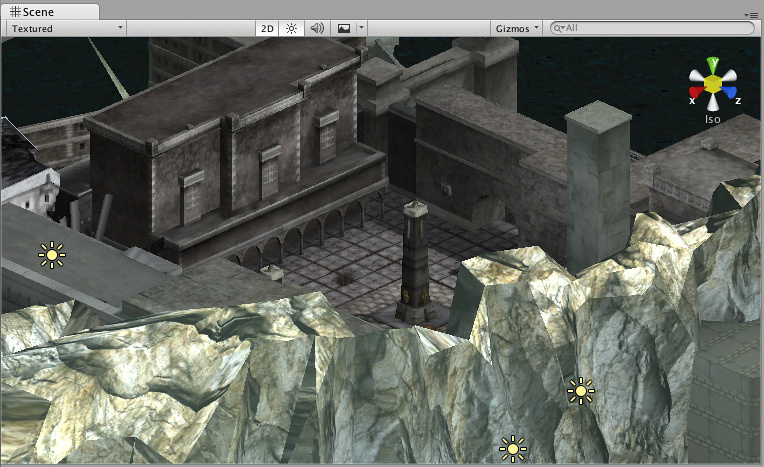 If the sensor aspect ratio is smaller than the game view aspect ratio, Unity overscans the rendered image at the sides. When you choose this setting, changing the sensor width (Sensor Size > X property) has no effect on the rendered image. Horizontal Fits the resolution gate to the width of the film gate. 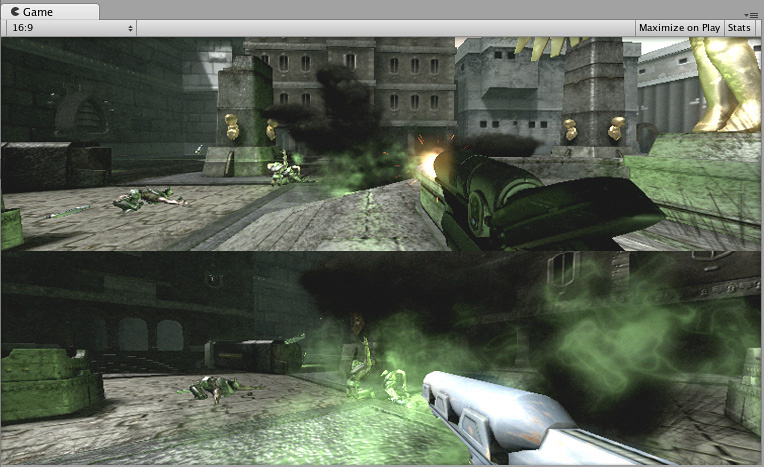 If the sensor aspect ratio is larger than the game view aspect ratio, Unity overscans the rendered image on the top and bottom. If the sensor aspect ratio is smaller than the game view aspect ratio, Unity crops the rendered image on the top and bottom. When you choose this setting, changing the sensor height (Sensor Size > Y property) has no effect on the rendered image. Fill Fits the resolution gate to either the width or height of the film gate, whichever is smaller. This crops the rendered image. Overscan Fits the resolution gate to either the width or height of the film gate, whichever is larger. This overscans the rendered image. None Ignores the resolution gate and uses the film gate only. This stretches the rendered image to fit the game view aspect ratio. Allow HDR Enables High Dynamic Range rendering for this camera. See High Dynamic Range Rendering for details. Allow MSAA Enables multi sample antialiasing for this camera. Allow Dynamic Resolution Enables Dynamic Resolution rendering for this camera. See Dynamic Resolution for details. 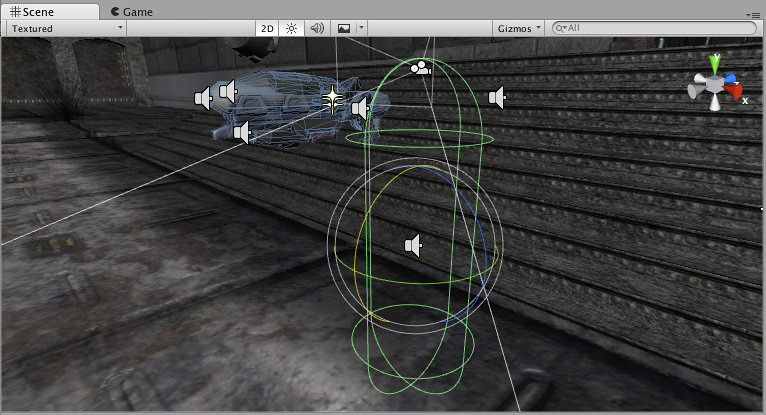 Unity supports different rendering paths. You should choose which one you use depending on your game content and target platform / hardware. Different rendering paths have different features and performance characteristics that mostly affect lights and shadows. The rendering path used by your Project is chosen in the Player settings. Additionally, you can override it for each Camera. This is the default setting. 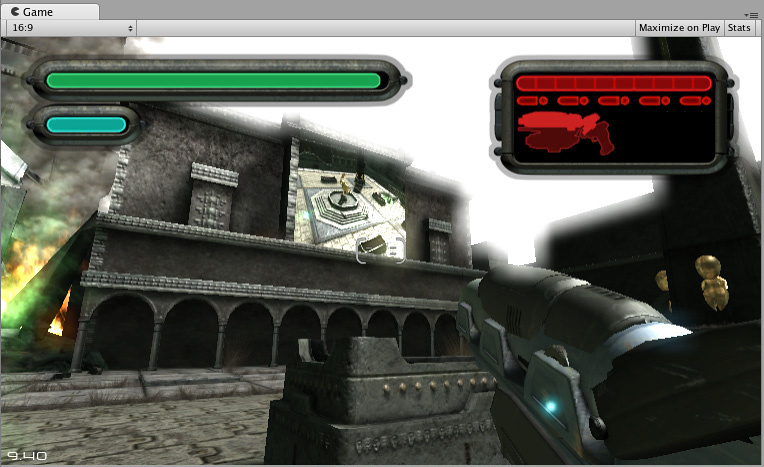 Any empty portions of the screen will display the current Camera’s skybox. If the current Camera has no skybox set, it will default to the skybox chosen in the Lighting Window (menu: Window > Rendering > Lighting Settings). It will then fall back to the Background Color. 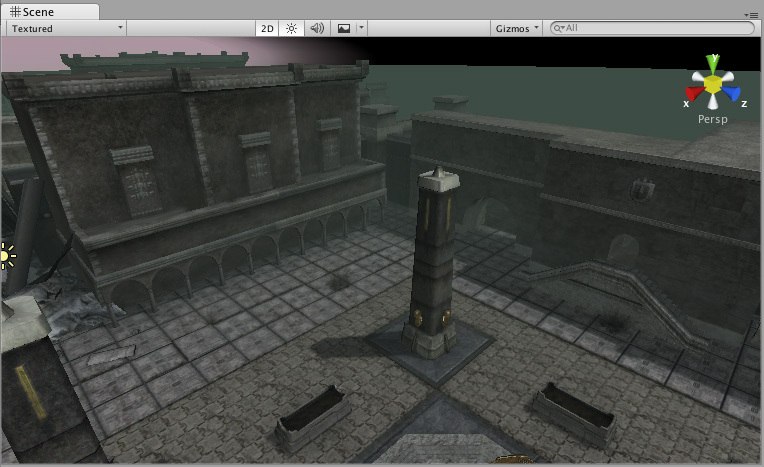 Alternatively a Skybox component can be added to the camera. If you want to create a new Skybox, you can use this guide.